The perfect format for your image presentation: the slide set “Image Layout” provides 46 different layout designs to illustrate and format image files in PowerPoint. Designers, photographers, architects and civil engineers: many professions need to document and illustrate their work using images. Additional work such as formatting and editing images can be irritating and annoying and can further be a distraction from more important tasks. To simplify your work with image files, the slide set “Image Layout” automatically formats all images immediately after they have been inserted into the slides. Simply add your own pictures and the presentation template does the rest. You can choose from 46 different patterns which structure your image files. Select from a collection of layouts and choose the one matching your professional requirements. Start to benefit from Image Portfolio Layouts now and do not waste any more time with endless formatting. The product is a real time-saver thanks to its pre-designed patterns. Great! 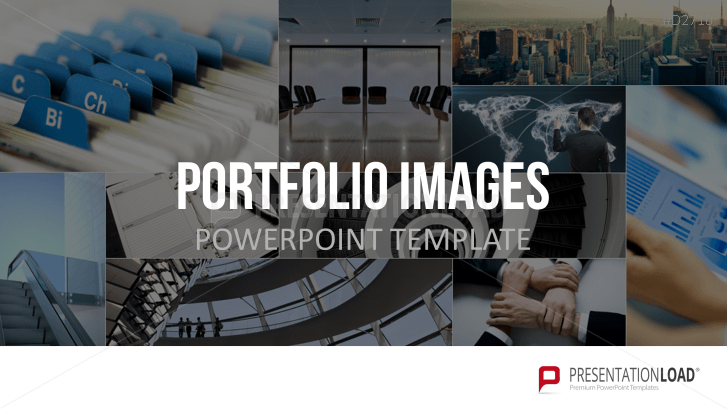 Highly recommendable to anyone who wants to present a portfolio of images in PowerPoint. Nice work.